(Summer Camp, Aesop’s Residency) is an Actor (stage, film, voice), Fight Director, Sound Designer and Teaching Artist working with theatres and studios internationally, but Chicago will always be his artistic home. Max holds certifications with The Society of American Fight Directors and Fight Directors of Canada as an Actor Combatant specializing in over 10 weapon forms. Recent fight credits include Pericles (David H. Bell) at The Chicago Shakespeare Theatre and Stick Fly (Chuck Smith) with The Windy City Playhouse. 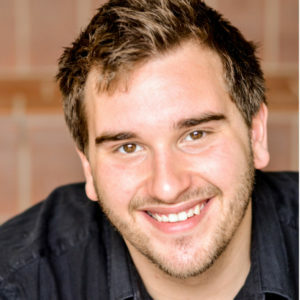 Max is a resident Teaching Artist with Lookingglass and Raven Theatre and holds a B.F.A. from the Chicago College of Performing Arts and Roosevelt University.